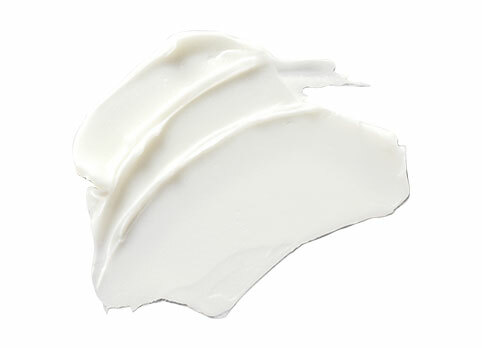 Multi-nourishing balm for hair and skin. Baume Miracle Hair Balm is rated 3.5 out of 5 by 4. Take a pea-sized amount of Baume Miracle hair balm and rub to warm it between your fingertips and shape through dry hair for separation. Apply on dry areas of the body-knees, elbows, hands, and feet. No water, Silicone free, Paraben free. Isopropyl Myristate • Cera Alba / Beeswax • Cetearyl Alcohol • Theobroma Cacao Seed Butter / Cocoa Seed Butter • Stearyl Alcohol • Pentylene Glycol • Caprylyl Glycol • Linalool • Citronellol • Bertholletia Excelsa Seed Oil • Oryza Sativa Bran Oil / Rice Bran Oil • Coumarin • Citral • Limonene • Parfum / Fragrance. Rated 5 out of 5 by flowergirl from I love this balm! I purchased this about a month ago mostly to help my dry hands although my hair has dry ends and frizz around my face. I first put a pea size of balm in my hands and work it through my hands and nails and then what is left on my hands I work through the ends of my dry, highlighted/colored fine curly hair. I love the way it helps my hair feel, never greasy or heavy. I also use a small tiny bit on the frizz that frames my face and this amazing balm beautifully separates my frizz into a perfect curl. Rated 2 out of 5 by WhoCaresWhoIAm from Conditioning Grease Don't use a pea size, use a BABY PEA size amount in palm, then rub hands together to emulsify. This product is nourishing for very dry hair and dry ends. I don't find it to separate and texturize because it is fairly greasy. Best for extremely dry hair, so on the rare occasion my hair feels that dry - I will nourish with this product. Great on the elbows and heels of feet. Rated 2 out of 5 by Ocean Breeze from Still trying to decide... I am not sure that this balm actually helps my bleach damaged lengths in any way. I used as directed and within hours my hair felt slightly greasy but the ends were really dry. I also bought the oil in this same line and have the same problem. I used the balm on dry hair and used a small amount of the oil on wet hair; each on seperate days. I also purchased the conditioner which I love. I really want to like this line especially the balm and oil, but they simply do not seem to help. I have previously used the entire collection of Kerastase Therapiste for 2 years, but the shampoo became too irrirating to my scalp. Thetherapiste mask does nothing good cor my hair (not even providing slip) and the serum stopped working for me. Thinking i had silicone overload I switched to this line and started with Bain Magistral Masque for deep treatments. I love the mask and the Aura Riche shampoo but everything else in this line seems to dry out my straight, fine, grown out highlighted hair. This is not helpful on already dried out hair that I seek to remedy without causing scalp and shed issues. I am a bit disappointed as I have seen no miracle with this balm only abject failure on my hair type. Rated 5 out of 5 by elizawv from Absolutely Amazing Product!! I was disappointed when Kerastase discontinued the Elixir Ultime Serum Solid but the AB Baume Miracle is so much better. The Baume Miracle is for definition, separation, shine and it delivers!! I have natural curly, highlighted, colored and somewhat fine hair which I like to wear blown out with height at the roots and defined separation. I currently use the Discipline Bain Fluidealiste SF Shampoo, Discipline Maskeratine Hair Mask, Discipline Fluidissime Anti Frizz Spray, Mousse Bouffante Hair Mousse, Elixir Ultime hair oil and Baume Miracle before and after I flat iron, Laque Noire Hair Spray or Laque Dentelle Hair Spray as a finish. I have been using Kerastase for almost twenty years and all of their products are amazing. Masque Fondamental Riche Hair Mask Deep nourishing mask for dry hair.